This article was originally published in the St. Francis Magazine. 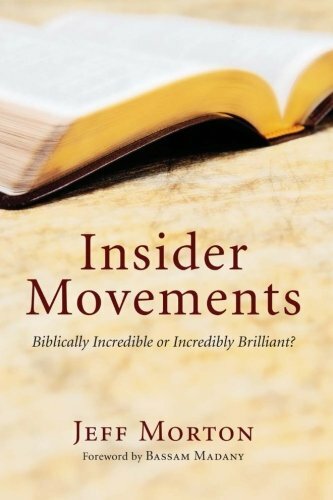 Book Review: Insider Movements: Biblically Incredible or Incredibly Brilliant? Near the end of the book I came to something of an epiphany. It was while reading about how insider movement advocates interpret Acts in such a way that it supports their position. Here is what I realized: if IM-advocates are right, then Christianity never should have become a religion in the first place. I mean, IM advocates say that we (Christians) should not force them (Muslims) to become like us. Rather, they should remain as they are, but follow Jesus, within their oikos (house, a reference to Mt 5:15). We are told, also, that this realization is nothing less than a complete and full understanding of the Gospel (oops, I mean injiil), which had been, it appears, lost (I’ll have a little Joseph Smith on top of that serving of Muhammad, please). Now let’s put two and two together. The implication is that when the Christians in Antioch started to go by the name ‘Christians’ they had invented a new religion. Or maybe it was imposed on them. It doesn’t really matter. But there in that cosmopolitan melting pot of cultures, they really broke this rule of IM, didn’t they? According to IM, the Jewish believers who started to go by the title of ‘Christian’ were leaving their household (oikos), which, IM advocates appear to say, represents preferring religion over Jesus. Furthermore, when the non-Jewish believers (gentiles) accepted the label ‘Christian’ they were doing something similar. They were leaving their oikos and joining a new oikos, like the MBB who joins a Christian church, and to some extent severs himself from his Muslim religious-cultural community. Again: if IM-advocates are right, then Christianity never should have existed in the first place, and that Antioch Church (Saint Paul’s sending church, incidentally) was a mistake. Think about it: had they understood the true meaning of the incarnation (the theological basis for IM), the Jews would have stayed Jews (just as believers), and the pagans would have stayed pagans. If IM is right, then Paul in his confrontation with Peter (Gal 2), was wrong. Peter was remaining within his oikos by observing kashrut (ie, keeping kosher). Paul called him on this because the new emerging reality of the apostolic Church, which was neither Jewish nor gentile but represented a new humanity birthed in the New Human himself demanded it. But let’s get to some of Morton’s critiques of IM. I really like writing book reviews. Most of mine are pretty brief but every now and then I find a book that really gets me going (like my review of the biography of Abuna Zakaria Boutros). Most of Morton’s book was like that. I will admit that close to the end I got a bit tired, but the book is short enough that I powered through and by the time I got to the second appendix, I was revived in my energy. Morton, who was written for SFM before, is quite clear about his intention for the book. He has helped to edit a much more detailed book on the topic, Chrislam, but in this book his goal was to present a brief (if playful) refutation to IM advocates. He focuses on three areas: theology of religion, Scripture, and conversion. I felt that he spent much of his time in Scripture. But, since IM is an evangelical debate, and evangelicals all say that the bible is the final authority on doctrinal questions, this was, I suppose, inevitable. Throughout the book the author spends a significant amount of time repudiating two authors in particular: Rebecca Lewis and Kevin Higgins. He also takes issue at times with folks like Dudley Woodberry and Mazhar Mallouhi, but Lewis and Higgins are two of the key proponents of IM, and so it is appropriate that he takes them on. And if I may use a boxing analogy, he has them against the ropes. It is easy to say that though. Why do I think this is true? Let’s take a look. IM-advocates always have a ready response to any critique: but that’s not what we’re talking about at all! Morton gets that and, to his credit, he starts his book by laying out two of most-quoted definitions of IM given by IM-advocates. They are those of Rebecca Lewis and Kevin Higgins (p 4). But I’m sad to say he misses here because he does not identify one of the main (and most sloppy) missteps of IM-advocates: they define biblical IM into existence. Look at Higgins’ definition, wherein IM is defined as ‘faithful disciples of Jesus’ or Lewis when she ‘describes’ ‘obedient faith in Christ…’ As I tell my kids: no cheating. The whole question, friends, is whether IM’s could indeed be ‘faithful’ and ‘obedient’. I expect this sort of rhetorical sloppiness from my local barber who defines Islam as ‘the true religion that Allah revealed to his Prophet…’ But we are in a place where scholars and practitioners of mission are trying to figure out if these are faithful and obedient. They may well be sincere, but that is not the question. Lewis and Higgins have done us a great disservice. They do not provide any empirical case studies or evidence showing that they have actually observed such movements. Nor do they reference case studies by other people. They assure us they exist—that is all. That is not sufficient for a debate that appears to cut to the heart of foundational questions about who Jesus was and what he desired. But Morton misses this opening. He doesn’t miss a classic staple of IM-advocates, which is the straw man. On page 8 he clearly points out how Mazhar Mallouhi, an evangelical Christian who left Christianity for Jesusy Sufi Islam, has set up a straw man. Morton also shows throughout the book how the claim of ‘extractionism’ is fake. No missionary ever intended from the outset to ‘extract’ a convert from his or her community! If IM advocates have evidence to the contrary, let us see it. Now, maybe Muslims drove them away by, you know, trying to kill them and stuff, but where is the fault there? Morton also calls out IM advocates on their over-simplification regarding culture. What missionary, even a traditional one like myself, is trying to make Arabs or Iranians or Javanese into Americans today? I know there were some attempts at this in the past, but I don’t know of anyone who is doing this now. Yet Morton cites IM-advocates saying such things multiple times! Morton is right in concluding that the ‘unspoken assumption is that missionaries who disagree with the IM paradigm are squeezing new converts from Islam into the Western mold of conversion that is Christianity’ (page 12). Another fallacy is pointed out on page 15. It I called the fallacy of the false middle (That is from me, not Morton). If I say, on the left are people who say that Jesus was never born, and on the right are people who say he is the Son of God, then the wise middle is to say something more modest, like Jesus was real, but he was simply a prophet. Sound familiar? It is a common fallacy, and evangelicals who rarely learn any logic are easily susceptible to it. So good for Morton who points out such a fallacy, advanced by Kevin Higgins, in relation to Islam. Beginning with Chapter 3 Morton starts to deal with biblical material. Some of the passages discussed here are so poorly handled by my fellow evangelical (pro-IM) Christians that I am reminded why the only Christians who read evangelical scholars (excepting NT Wright, who isn’t American) are other evangelicals. Here is one such example, for instance: IM is biblical because of Melchizedek, proposes Higgins (page 19). Morton refutes these positions, suggesting that Melchizedek may have learned true monotheism (like that of Abraham), and that, in any case, the Genesis narrative does not contain enough specific details for the IM argument to succeed. Aside from what Morton says, the Melchizedek context is one wherein there are no ‘religions’ at all—there are only cults to one or more deities. Abraham and Melchizedek worship the same deity and so Abraham tithed to him. In Chapter 4 we encounter the awkward claim that Naaman from 2 Kings 5 supports IM. Morton correctly points out that Naaman recognizes that entering the temple of Rimmon is awkward. He is not celebrating the insider-ness, rather he is asking if this awkward association with the temple of Rimmon can be forgiven so that he can continue in his present job! The Jonah passage is not worth summarizing. What is more interesting (and again, painful as a fellow evangelical) is the mishandling of the category ‘Samaritan’ in the literature of IM-advocates who try to use John to defend their position. IM proponents (Lewis here) argue that as Jesus let the Samaritans continue to be Samaritans, we should let Muslims stay Muslims. The ineptitude here is breathtaking. Samaritans were, like Jews, an ethnic-religious category. The average American doesn’t know anything along those lines these days. Where such linkages to exist today they are seen as oppressive, such as the idea that a true Arab is always a Muslim, or that a true Roman is always Catholic. Of course Jesus didn’t tell them to become Jewish. They had been Jews in the distant past whose heredity had been polluted with non-Jewish blood, and Jesus knew that full well. This IM interpretation also misrepresents the historical context of what Jesus was about and how he interpreted his own mission from God. Jesus was ushering in an eschatological kingdom (the reign of God), which would transform the world (leaven, salt, light) while not being of the world. Indeed, the world would oppose it. The Kingdom had its specific and clear rites (baptism as initiation, Communion as participation, memory and expectation) and it had specific leaders who had had specific powers and prerogatives. The kingdom was neither ethnic nor territorial, but its visible marker was an assembly of its subjects (that is, gasp, the church). Given this, it makes no sense to even think about Jesus asking a person to become a Jew. Now if an IM-advocate says I am making their point for them I disagree entirely. The assembling of the disciples was, by its very definition and essence, something that had to reach across boundaries. This is precisely why Paul (who knows he is an inferior disciple) in Galatians 2 will stand up publically and reprimand Peter! Peter is trying to remain within his oikos and Paul sees this compromises the visible unity of the church eating together. The visible unity in a meal trumps the oikos because the visible unity both derives from and points back to the unity of the one person, Jesus Christ (sorry, Issa, as al the IM folks love to call him, and as all the Arab MBB’s I know don’t call him). IM-advocates seem not to read the verses in their context. I recall learning that verses must be read in their larger context soon after I became a Christian in my teens. The tortuous readings that IM-advocates subject Scripture to make my heart sad. For instance, IM-advocates often speak about gentiles as a homogenous group, but as Morton points out, ‘…the notion of a socio-religious category describing gentiles[…] is a modern day construct forced on the text’ (p 48). Their inability to interpret and apply Scripture adequately has led them to a number of unhelpful, false dichotomies. Either you are in favor of extraction, or you support IM’s so people can stay in their community! Either you demonize Islam and the Prophet and hurt the feelings of Muslims, or you always respect the Qur’an and Muhammad and use the Qur’an to lead to Jesus! Either you support IM or you Christianize-Westernize the convert! These polarizing statements are ridiculous. There are pastoral, wise, shrewd manners of helping an enquirer or believer to remain in touch with her family. There are movements out there seeking to redefine identity so that society will be able accept that Turks and Saudis really can be Christians while remaining loyal to their people (but not the Prophet or his book). Morton realizes all of this and does a fine job of laying bare these simplistic and illogical false dichotomies in IM literature. If you journey over to Wikipedia and check out the Insider Movement entry, you will enter the personal fiefdom of one Dave Bogs. If you click on the ‘view history’ tab you will find that anything he does not like is deleted (by him). His justification for this is invariably that a significant number of people have said that the article is balanced. If you click on the ‘Talk’ tab (next to the ‘Article’ tab) you will find that a bunch of people went to Wikipedia between March 13th and 17th of 2012 and left positive comments on the article. Is it possible that Dave or someone else was teaching a class on IM, and that the students were told to log in to Wikipedia and endorse the article as ‘excellent, concise’ and so on? Maintaining the purity of IM as a technical term is very important missiologically. The problem is that there are some who are trying to hijack the term to mean something which it does not, and which the missiologists who created the term (whom I know personally) do not mean it to be. That’s unfair to these missiologists and from a scholarship point of view, unethical. Morton brings up this issue, though belatedly and without sufficient force. This is one of my main misgivings about his book. I am speaking about the reality of the insider movements. For instance, we are told (by Rebecca Lewis) that missiologists are reacting to new knowledge about insider movements, much like the apostles in Jerusalem were reacting to a new movement they had not foreseen. We are told that these IM’s came into being apart from any missionary involvement, as a pure movement of the Holy Spirit! That is very important—if it is true. Bill Nikides, in his two excellent SFM articles on IM, has called into question this definition of IM. 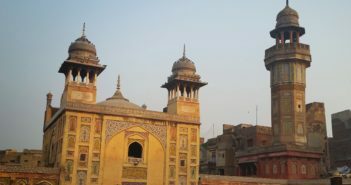 He reports that there are movements of people who identify themselves as believers in Jesus within Islam, but according to him this is never independent of missionary involvement. In other words, Bill is calling into question this concept of ‘purity’ which Dave Bogs alleges, but cannot substantiate. So where are these alleged movements? And do they even exist? I have been looking far and wide for them and have yet to find a single insider movement that was not founded by Western missionaries or people sponsored and trained by such missionaries. I have been pointed, for instance to, Rick Brown’s ‘Brother Jacob and Master Isaac: How one Insider movement Began.’ This is all of a two-page anecdote. It is no case study. For those who say that the movement in Indonesia under Sadrach was an IM, I tell them no, because while the movement respected the cultural context of the new believers, they clearly identified themselves as Christians. David Greenlee and associates have made a fine contribution to the broader topic of Christianity and Islam. Do we find there a good example of an insider movement? How about Lowell de Jong’s work among the Fulbe? Not an IM—they do not come from the same social network (required by Lewis) and they have not formed a church/fellowship, and they exist because of foreign mission. And John Kim’s study of the people in Asian ‘Anotoc’? Kim’s study is interesting and engaging. But it is not at all clear that this was initiated by the Holy Spirit independent of missionaries, and his ‘in-betweeners’ may well be funded by mission or churches. To Greenlee’s credit, though, at least de Jong and Kim lay their cards on the table and actually describe in some detail what is actually happening. Can people from other religious traditions genuinely follow Jesus without becoming “Christians”? The question is a point of much dispute within today’s missions world. Those who follow Jesus yet don’t formally express Christian faith are said to belong to insider movements. And no insider movement has received more attention than Muslims who embrace Christ yet stay within their Islamic community. “Insiders” are hard to access due to cultural, geographic, and linguistic barriers. As a result, many Christians have taken positions on insider movements without ever having met or spoken with someone who belongs to one. In the following exclusive interview, we hear from just such an insider. The following is the synthesis of two interviews conducted in 2011 with “Abu Jaz,” a key leader in a movement that describes itself as the People of the Gospel. This group represents several thousand Muslims in eastern Africa who have converted to faith in Christ during the past decade, but who have remained in their Muslim communities. Abu Jaz is married and has three children. He started following Isa al Masih (“Jesus the Messiah”) as the Savior 18 years ago. You can read the interview if you like. What is more instructive, though, is to read the comment section. There, an ex-Muslim Christian (no insiders here), Hussein Wario, decides to ask questions. The first rule of Insider Movement Club is, you don’t talk about the Insider Movements. Why not? They don’t exist. Or, they do exist as missionary-sponsored projects imported from the emerging-Jesusy-non-religion of the USA, but they don’t exist as defined by the people who are against the ropes, cornered by Jeff Morton, Bill Nikides, Hussein Wario (and Abu Daoud, in this article, at least): Rebecca Lewis, Kevin Higgins, Dave Bogs and so on. April 8th: Gene Daniels, I sent an email to Abu Jaz on Wednesday and cc’ed to you at your real email address at Fruitful Practices. I asked him the same questions you have evaded for the past three months and hope to get answers. I know that Abu Jaz is not keeping his identity a secret. He has been telling people in his native country he is your interviewee. He just disagrees with what you have written about him and I would like to know what parts of the article he disagrees with. I saw a comment you had made on Feb 23 in response to Salaam where you wrote, “Abu Jaz used a pseudonym because I suggested it.” It is very clear Abu Jaz is not concerned about his real name becoming public. I know you have tried, albeit fruitlessly, to reassure those with concerns that CT did background checks on both of you, but I doubt it did any fact checking. CT is aware of my concerns. I’m interested in this interview because Abu has ties to a Muslim Idiom Translation, which Wycliffe’s The Seed Company is funding. April 19th: Gene Daniels, You owe CT an apology. Contrary to what you have written and defended for the past three months, your interviewee, Abu Jaz, is not known as “Muslim” in his native country. A person who knows him writes, “In fact [redacted name]is known in [redacted country name]as a Muslim background evangelical Christian who has a burden for reaching Muslims. To my knowledge he received Christ as his saviour in [redacted]church and is still part of it. He is not at all known as a ‘Muslim’ among evangelical churches. He is part of the [redacted evangelical association name]. It is under [redacted evangelical association name], and under his leadership, that the Muslim friendly bible translation is initiated. It is in fact through him the funds were secured to translate the bible. If you come to visit [redacted his country], you could find him is in his office, at the [redacted evangelical association name]building.” Wycliffe’s The Seed Company is funding it. Well, make of that what you like. But it does not seem like a real, genuine IM at all according to Lewis’ and Higgins’ definition. There is something very wrong here. We are told that insider movements are born spontaneously, that they are successful, and, without really being able to learn about them, we are told that they are ‘obedient’ (Higgins) and ‘faithful’ (Lewis). We don’t ever hear from the Muslims around them—do the Muslims think they are ‘remaining within their oikos’ or do they think they are being dishonest? These questions are dealt with magnificently in what, to me, was the most fascinating part of the Morton book—the second appendix, titled ‘Insider Movements in West Java, Indonesia: A Case Study’ (pp 108-123), written by veteran missionary and scholar of mission, Roger Dixon. In sum, he shares about the early experience in West Java, how IM influence increased and was imported (from Bangladesh, it appears), how a number of missionaries actually went and officially converted to Islam at the mosque, and how IM-advocates increasingly separated themselves from others, including the indigenous churches, and stopped communicating with other workers and Christians. Eventually, ‘It became impossible either to validate or challenge their claims of success because they would not share information’ (117). Dixon also points out that the Bangladesh study which Dudley Woodberry used in the 90’s to promote IM-style method has been discredited. I would not know, because no one can get that study. But this is another weakness of IM—it does not deliver. Anywhere. Evangelicals run their churches like businesses. And I don’t say that in a disparaging way; it is both a strength and a weakness. And when we hear about a business model that is working well somewhere (Bangladesh), it is logical to want to copy it elsewhere. We do this all the time. The problem is that the success in Bangladesh was smoke and mirrors. It was like the ‘success’ of Enron before it became apparent that much of its growth was not genuine or lasting. Dixon is not saying that Woodberry et al intentionally were lying, but he is pointing out something important. IM does not deliver. It did not deliver in Bangladesh, and it didn’t work in Indonesia either. Dixon mentions one experienced and charismatic man who managed to assemble a group of disciples. But that is, he says, the exception. 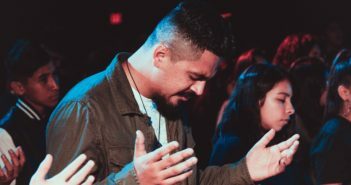 “During the past twenty-five years, Frontiers has put teams in three cities, but none of them were successful in church planting other than the gathering of a few believers of mixed ethnic and religious backgrounds” (116). So let us return to that stronghold of Insiderdom—Dave Bogs’ Wikipedia page. The page asserts that the movements are real, that they come from the people and not from missionaries. Yet in Dixon’s appendix we find that IM does not even work as a strategy. This needs to be made very clear. There is a difference between IM as a description of an indigenous-initiated movement, and IM as a missionary strategy. Go to Bogs’ Wikipedia page and try to post something pointing this out, or pointing out what I listed above—that there are is no competent empirical evidence that insider movements even exist. It will be cut out, undone or deleted tout suite. When we ask for studies, we get a cute anecdote from Brown. Or we get a long interview in CT that just doesn’t hold up to scrutiny (thank you Mr Wario). Or we get a creative, indigenous, contextual Christian mission (Sadrach) that actually doesn’t match the definition of an insider movement, but it was successful so it is co-opted. Or you get allegations of research that is too secret to share and has been discredited anyway (Woodberry’s study of Bangladesh). Or you are pointed to one evangelical Christian trained at Fuller who left evangelicalism for Jesusy-Sufi-Islam (Mazhar Mallouhi, who I’m sure is a splendid guy). When we call into question some of the biblical and historical underpinnings of IM, we are accused of being extractionists who disvalue the incarnation. Ya rabb! This is certainly not a little quibble about words, is it? Regarding the totally unsubstantiated allegation that there exist insider movements that were not started by missionaries or coordinated by missions, we ask for information. Not an anecdote (thank you Mr Brown), but a real case study that can be scrutinized (as Mr Wario did with that sad CT interview). And let it be a movement, as you claim it to be, and not a simple individual here or there. Regarding insider movements as a missionary strategy, let there be a clear differentiation. The problem is that IM folks want to have their cake and eat it too. When people question the goodness of the IM paradigm, they are told that God is already doing this, and by their very definition (Higgins, Lewis) they are obedient and biblical and faithful. Hard to disagree with something like that. We are told that the strategy is simply an affirmation of IM as an alleged non-Western reality. We ask for evidence that these exist and are told it is secret, or we are given anecdotes, or material that does not hold up under scrutiny. Which leads me to Morton’s conclusion. I appreciate that he brings things down to earth and lets the average mission-supporting Christian know how they can influence this debate. His advice is good. It works, too. I especially like his idea about asking missionaries you support if they have a pen name, because anything they write about IM is most likely published under that name. You may be surprised what you find! If you find in your conscience that you cannot support the way a person preaches the very basics of the Gospel, then you should not support their missionary work. I would say this cuts both ways: if you are strongly committed to IM-as-a-strategy and you have a worker who does not, maybe you should not support them. Your tithe is not your own money, of course; it is God’s money that he has entrusted to you for wise use and investment for the Kingdom. The recent victory of Biblical Missiology (Morton is a leader of that website) to halt the printing of bibles that dispense with filial titles for Jesus is one example of this strategy working. In the end missionary agencies exist to assist the Church as she carries out her mission. It is entirely appropriate for local churches to be part of this conversation, as long as they are humble and understand the limits of their knowledge, and treat missionaries with respect. Let me return to my original observation in this article. If Lewis, Higgins and Dave Bogs are right that IM is a recuperation of the real meaning of the incarnation, then, logically, there never should have been One Apostolic Church to begin with. The Jews should have stayed on as Jews who follow Jesus, and the pagans should have stayed in their various cults and philosophies, trying to be light and salt there. The mixed church of Antioch (where they, both Jew and gentile, were first called Christians) was really a mistake—one that represented a failure to understand Jesus’ Gospel and that to honor their god-given identities (Rebecca Lewis’ phrase), the gentiles and Jews should have stayed within their own social-religious communities, rather than embracing this brand new one—being Christians. Further, the mixed churches in cities like Rome and Galatia were likewise errors. These believers, both Jews and non-Jews, had mistakenly supposed that they in some way had come into a new oikos and a new identity, and Paul, lacking wisdom as usual, taught them these things. Indeed, a triumph of IM hemereneutics and practice would have meant that Peter should have been victorious when Paul confronted him. Indeed, Paul, in violating kashrut was stepping needlessly outside of his oikos, while Peter himself was honoring his God-given identity as a Galilean Jew. In the end though, it was the faith—the apostolic faith—that was victorious. A faith which understood that in Jesus a new community had come into being demanded allegiance above and beyond ones own community of birth. Or as one African pastor put it in those early centuries: you cannot have God for your Father without having the Church for your mother. The claims of IM-advocates are not nuanced, educated or sophisticated. They are ill-defined, cloaked in secrecy, and indefensible on biblical or, indeed, purely secular ethnographic grounds. That one, single, genuine IM exists anywhere has yet to be established to the scholarly community. Morton spends most of his time on biblical exegesis, and in this he is for the most part successful. Moreover, this book brings new and important material to the conversation about IM (I did not there was any new material), notably in the very valuable appendix by Roger Dixon. Finally, Morton is right that this is not a mere theological quibble, but an important church-wide discussion, one that mission committees and prayer group members can and should be involved in. This short volume has IM-proponents like Kevin Higgins and Rebecca Lewis up against the ropes. I am sure these are fine people, they are my brother and sister in Christ and I love them. But their hermeneutical sloppiness has been made clear. Their lack of rigor in logic and slippery rhetorical games have been laid bare. Abu Daoud is a contributing editor of St Francis Magazine and has been a missionary in the Arab world for going on a decade. His interests are relating the spirituality of the patristic era to Christian witness to Muslims. His heroes are Temple Gairdner and Ramon Llull. And no, Abu Daoud is not a fake name, and yes, he can preach sermons and give lectures in classical Arabic. Abu Daoud, ‘Observations on Abuna Zakaria Botros (and a book review)’ in St Francis Magazine, Vol 5:5, October 2009. Jeff Morton, ‘The Lyrics of Carl Medearis: A Post-modern Croons—a Song of Cultural Imperialism’ in St Francis Magazine, Vol 7:4, October 2011. I have found there are some fruitful ways to critique the Prophet with Muslims (islamdom.blogspot.com/2013/05/missionary-secrets-5-how-to-fruitfully.html). cf Duane Miller, ‘”Your Swords do not Concern me at all”: The Liberation Theology of Islamic Christianity’ in St Francis Magazine, Vol 7:2, April 2011.
 en.wikipedia.org/w/index.php?title=Talk:Insider_movement&action=history, accessed 11 June 2013. Bill Nikides, ‘The Emergence of Insider Movements’ in St Francis Magazine, Vol 7:3, August 2011. As an editor of SFM I was particularly troubled by this development. en.wikipedia.org/wiki/Talk:Insider_movement, accessed 11 June 2013. In International Journal of Frontier Missiology, Vol 24:1. J Henry Wolfe (2011). Insider Movements: An Assessment of the Viability of Retaining Socio-religious Insider Identity in High Religious Contexts. PhD Dissertation. Louisville, Kentucky: The Southern Baptist Theological Seminary. David Greenlee, ed (2006). From the Straight Path to the Narrow Way. Waynesboro, Georgia: Authentic. www.christianitytoday.com/ct/2013/january-february/insider-movement-islam-wheres-jesus.html, accessed 11 June 2013. Mr Wario’s conversion narrative is available in book form: Hussein Wario (2009). Cracks in the Crescent. Grandville, Michigan: Hussein H Wario. Abu Daoud served as a missionary to Muslims for eight years in the Middle East, and has recently returned to the USA to continue with the same ministry. Married with thre children, Abu Daoud is a patronym, not a birth name. You can read his blog at Islamdom.blogspot.com. He is a contributing director of St Francis Magazine. He can be contacted via his blog. My friend Abu asked me to convey the following to you. It is unedited. …..Thank you for reading my article, and I look forward to hearing your responses to my main point, namely that theoloy of IM, if indeed correct and biblical, must lead us to the conclusion that the Apostles, all Jews, should have remained within their oikos, rather than contributing to the formation of a new body that reached across ethnic boundaries, regardless of ‘cultural forms’. To answer your question, though, I cannot disclose the name on my passport for reasons you surely understand. I am a missionary working with Muslims, often in creative access countries. But you will respond: exactly, IM-proponents have security issues too, so are you not being hypocritical by expecting others to be transparent while you are not? First, I am not using my own experiences or field research as data to prove my point. Because of this, my birth name does not matter. Nor, for that matter, does anything else about my biography. The battle ground is even because it is openly available for all, namely Scripture and some historical realities. If my own personal experiences were used as evidence in favor of my argument then my biography would indeed be important. Second, I am not arguing for a radically novel approach to mission. No one has ever read Scripture like you and other IM proponents do, to my knowledge. You are claiming to have rediscovered the true meaning of what the Bible proposes in terms of theology of mission and ecclesiology. In arguing for a radically novel interpretation and application of Scripture you and your fellow proponents have a very high standard of research which you must provide, and I am certain you all have not succeeded. This is how things work in all fields of knowledge, whether theology or physics or economics. A novel theory that upends established consensus must provide documentation and evidence, time after time, in order to really become the new orthodoxy. This has happened from time to time in theology, as when Luther and friends brought about a revolution (in some places, at least) in relation to what Paul meant by that mysterious word justification. This is why people who purport to have witnessed genuine IM’s initiated and sustained indigenously by the Holy Spirit without American money and support cannot simply provide vague anecdotes from somewhere in the Arab world or what have you. Third and last, I want to assure you that I have done research of the highest order among MBB’s. So when it comes to balancing research and security I do know what I’m talking about. That last point is not important to my first two points above, which establish why I can use a patronym while IM folks who say, “I’ve seen this, trust me, I know,” cannot. So by all means feel free to discount it. That is fine. Even without that my point stands: IM proponent must produce actual evidence that IM’s exist, IM’s not funded and supported in some way by American money and personnel, and initiated without the coaching of Christians. I for one am thankful to be a Christian. My ancestors were pagans who worshiped false deities and forces of nature. I am very thankful that they heard the Gospel, maybe through medieval monks, maybe through Franciscans, maybe through their neighbor who was a cobbler or cooper or whatever. I am very thankful that they did not remain within their pagan oikos, but were brought into the Body of Christ, the Church, which one, holy, and Apostolic. For the sake of the transparency you recommend: You say Abu Daoud is not a pen name but is a “patronym” not a birth name? What is your birth name? Do you write under any other name? Are you an American citizen, and if so, what is the name on your passport?